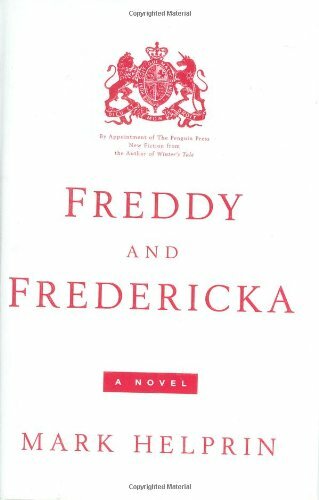 Ridiculed as a matter of course by the British press for their routine gaffes, Prince of Wales Freddy and his wife, the frivolous Fredericka, are sent on a quest to colonize the barbaric land of America, an endeavor during which they engage in such misadventures as a freight train ride, an art theft, and a wayward presidential election. 125,000 first printing. 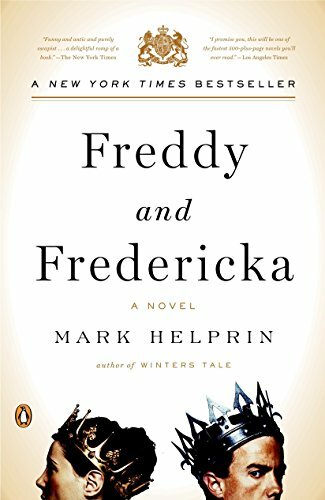 Mark Helprin's picaresque romp, Freddy and Fredericka, begins with a secret rite on a Scottish hillside: the Prince of Wales, poised in his crisp field uniform, urges a falcon named Craig-Vyvyan to fly from his arm. The latest in a line of royal falcons with the ability to discern true kings and queens, Craig-Vyvyan sniffs the air, sizes up the bewildered heir to the throne, and refuses to budge. The falcon knows he isn't king-material, and so does the falconer, and so, in his heart of heart's, does the Prince of Wales. From this promising opening, Helprin spins a tale that ricochets in tone between the silliness of The Naked Gun movies and the gravity of a Wesleyan sermon. To prove their worth and prepare them to rule, the Prince and Princess of Wales--loose caricatures of Charles and Diana--are parachuted naked into New Jersey by night and ordered to reconquer America for Britain. "With a pitch-perfect sense of the absurd . 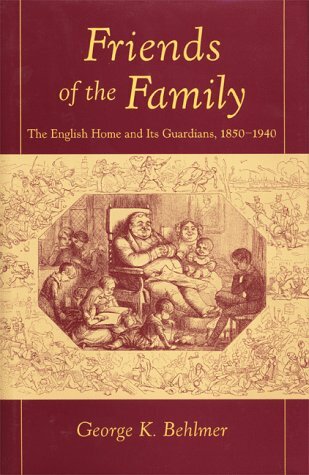 . . he has produced a delightful romp of a book." "Freddy and Fredericka recalls American journeys of self-discovery by Mark Twain, John Steinbeck and Jack Kerouac. . . . I promise you, this will be one of the fastest . . . novels you’ll ever read." "A rollicking, heartwarming examination of the state of the nation . . . Working his own magic, Helprin transforms the thinly veiled satire of the monarchy into a quirky love song to the colonies."